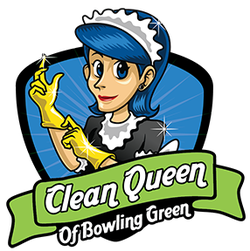 We are a group of local professionals working together to create our own unique brand of clean right here in Bowling Green, Kentucky. We have the experience, we have the attitude and we have an all consuming desire to satisfy every customer every time. We know that's how we grow and we are committed to it. I make sure we are committed to it. After all, I am the Queen! If you are tired of cleaning or maybe just tired of the same old tired service you've been getting, call us for a breath of fresh air and a clean you can feel! You choose how often we clean for you as well as the number of hours and type of cleaning we do. We do our best to send the same person or people to your home every time we visit.